Following stimulation, G protein-coupled receptors (GPCRs) are internalized and transported to early endosomes where they are either recycled back to the plasma membrane for another round of activation or targeted to the lysosomes for degradation and long-term signal termination. This latter requires internalization of receptors into intraluminal vesicles (ILVs) of multivesicular bodies (MVBs) for complete degradation following fusion with lysosomes. This endosomal sorting step is highly regulated and has profound functional consequences. 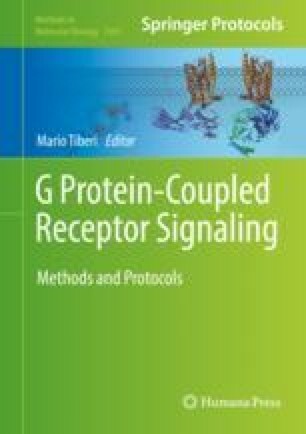 This chapter describes how RNAi and confocal microscopy methods can be combined to evaluate whether a protein of interest (herein Gαs) is involved in GPCR sorting into ILVs of MVBs. This work was supported by a grant from the Natural Sciences and Engineering Research Council of Canada to C.L.